Eyelash extensions require very gentle care in order for the lashes to last long and stay in good condition. Once the lashes are attached you must not rub or pull on them. You must not wear any mascara or use Eyelash curlers. You should read and understand all the information listed below, before you get this service done. Do not get eyelash extensions wet for 36 hours following the application. Do not perm or tint lashes immediately before or after lash extension application. Do not use a regular eyelash curler. Do not pull your lash extensions- it will take out your own lash as well. Do not go in a sauna or steam room while wearing eyelash extensions. Do not use waterproof mascara or liquid eyeliner. Store bought mascara is oil based and will cause the adhesive to emulsify which could cause irritation. Do not try to remove the extensions on your own. 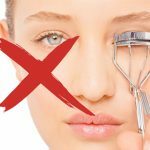 Avoid extensions when removing eye makeup. Use only oil free makeup remover. Try to avoid high intensity workouts for at least 24 hours after getting eyelash extensions applied. Remember to come in for touch ups! Eyelash extensions require very gentle care in order for the lashes to last long and stay in good condition. ​Eyelash Extensions are synthetic or mink lashes individually attached to your natural eyelash. This service requires skill and precision and should only be performed by a professional. Once applied, these lashes are so natural looking it is difficult to tell even up close that you have extensions on. Different lengths and curls are available for a customized look. ​Depending on how well you care for them and your natural lash cycle, your extensions can last 5-8 weeks. To keep your lashes full and looking great, maintenance appointments, or “fills”, are suggested every 2-3 weeks. These are necessary as your lashes grow out in a continuous cycle of replenishment. Please do not attempt to remove any lashes on your own, seek professional help from your technician. WE WILL NOT BE HELD LIABLE FOR ANY DAMAGE THAT YOU MAY CAUSE BY TRYING TO REMOVE THE EYELASH EXTENSIONS ON YOUR OWN. Absolutely not! The lash adhesive is formulated to create a solid bond, specifically for human lashes. As long as lashes are applied safely and correctly, they do not harm the natural lash. 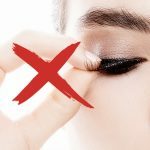 ​​What happens if a lash should loosen or become dislodged? Do not pull on the lash. Please contact CouturEye to make an appointment to have them removed or replaced, to avoid damage to your natural lash. As your natural lashes fall out due to the growth cycle, you will need refills when new lashes grow. At first you may find you need a refill every 2 weeks. 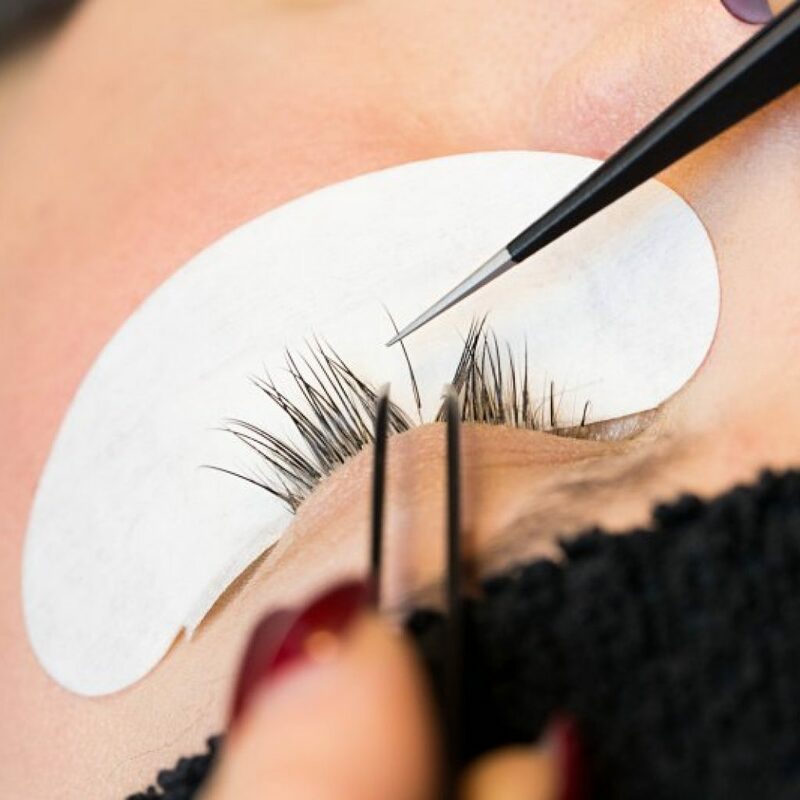 As you become accustomed to the extensions and with a little practice maintaining the lashes, the time between refills can be extended to 3-4 weeks.